Figure 1. Downside Tasuki Gap pattern. The Downside Tasuki Gap is a three-line bearish continuation pattern belonging to the tasuki patterns family. Its first line appears as a long line in a downtrend, having a black body. The second line may appear as any black candle, either as a long or short line. A price gap exists between first two lines. The third line may be any white candle (except doji candles) which opens between prior opening and closing prices. It closes above the prior closing price, however, is not closing the price gap between first and second line. The Downside Tasuki Gap should be confirmed, that is candles following its occurrence should close below second line's closing price. The second and third line of the pattern may form the Bullish Tasuki Line acting as a bullish reversal pattern. Therefore considering the market context is very important. Figure 2. The Downside Tasuki Gap is very similar to the Downside Gap Three Methods. Its only difference is the third line, which is not covering the price gap formed by the first and second line. The pattern occurs very rarely. On the chart, a Downside Tasuki Gap is followed by a Black Candle, which may be considered as a confirmation. Figure 3. A Downside Tasuki Gap pattern is preceded by two occurrences of the Falling Window pattern. The second Falling Window is part of the Downside Tasuki Gap. Falling Window patterns act as strong resistance zone what may cause problems for the bulls in the future. The Downside Tasuki Gap, in general, often is conflicting with the pattern formed by its second and third line -- the Bullish Tasuki Line. In other words, it happens that within a bearish pattern, a bullish pattern appears, or the opposite. Such situation also happens to other patterns, for example Rising Window versus One-Candle Shooting Star. To answer the question which pattern is more important we need to see how the market performs on the following candles. In our example on the chart, the bears seem to be in a better position than the bulls. The strong resistance zone formed by the price gaps, which were formed at a high trading volume, puts the bulls in a difficult situation. However the bulls are closing the price gap on the following candle, confirming the Tasuki Line pattern, signalling that may be strong enough to reverse the downtrend. Indeed, the Downside Tasuki Gap is not confirmed, the bulls are breaking the trendline and are trying to cover another price gap which takes them a few days. Finally the bulls control the stock. 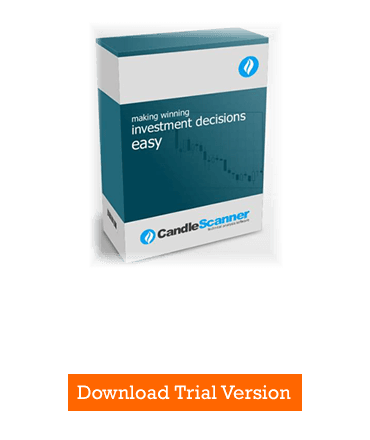 Below you can find some Downside Tasuki Gap pattern statistics calculated by CandleScanner software.